The Army Cross, post-nominal letters CM (Crux Militaria), is a military decoration which was instituted by the Republic of South Africa in 1987. 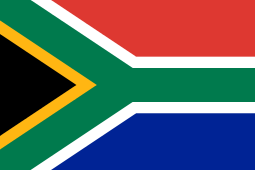 It was awarded to members of the South African Army for bravery. The Army Cross was discontinued in 2003, but backdated awards can still be made for acts of bravery during this period. 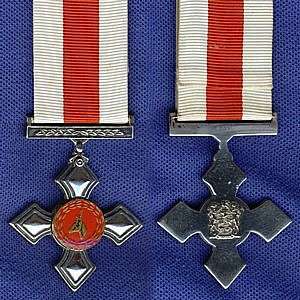 The Army Cross, post-nominal letters CM (Crux Militaria), was instituted by the State President in 1987. The cross was initially awarded for exceptional ingenuity, resourcefulness and skill, and extraordinary leadership, dedication, sense of duty and personal example and courage in mortal danger in non-combatant situations. After 1993, it was awarded for exceptional courage, leadership, skill, ingenuity or tenacity in dangerous or critical situations. A Bar, instituted in 1993, could be awarded in recognition of further similar displays of courage, leadership, skill, ingenuity or tenacity in danger. 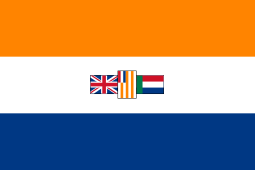 It was first awarded in 1992, to Corporal D.H. Maritz and Private H.B. Smit, who recovered a disabled tank during a battle in Angola. 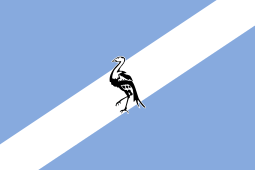 The position of the Army Cross in the official order of precedence was revised three times, to accommodate the institution or addition of new decorations and medals, first upon the integration into the South African National Defence Force on 27 April 1994, again when decorations and medals were belatedly instituted in April 1996 for the two former non-statutory forces, the Azanian People's Liberation Army and Umkhonto we Sizwe, and again when a new series of military decorations and medals was instituted in South Africa on 27 April 2003, but it remained unchanged on all three occasions. Preceded by the Ad Astra Decoration (AAD). Succeeded by the Air Force Cross (CA). The Army Cross is a pointed cross, struck in silver, to fit in a circle 45 millimetres in diameter, with the South African Army springbok emblem in the centre on a red roundel, 18 millimetres in diameter. The Bar was struck in silver and has an emblem, depicting a Protea, embossed in the centre. The same bar was used to indicate multiple awards of the Pro Virtute Medal, Army Cross, Air Force Cross, Navy Cross, Medical Service Cross, Southern Cross Medal (1975) and Pro Merito Medal (1975). The ribbon is 32 millimetres wide and white, with a 12 millimetres wide Army orange centre band. 1 2 Maritz and Smit – Recovered a disabled tank during a battle in Angola. 1 2 3 4 5 Berkenshaw, de Cruz, Blake, Carstensen and Evert – Ensured the safety of personnel and equipment during a veld fire at the Army Combat School at Lohatla. ↑ Fourie, Theunis – Rescued two policemen from drowning in a flooded river at Rorkes Drift. ↑ Die Burger, 23 Nov 1995 - Vyf Highlanders vereer vir dapperheid ná woeste veldbrand Archived 19 April 2014 at the Wayback Machine. ↑ Die Burger, 5 Sep 1995 - Leërkruis vir dapperheid ontvang Archived 19 April 2014 at the Wayback Machine. ↑ Ndaba, Dennis (May 2003). "Dedicated to duty". SA Soldier. 10 (5): 31.